(106 Km.) Reykjahlid: We came to this town near Lake Myvatn to take an organized tour (Tour Askja Lunar) to Askja. (150 Km.) Path to Askja: The start of the route to Askja means to cross the Ódadahraun desert, a vast flow of lava all that cracked that becomes the road unviable if you don´t have a four-wheel drive. After the stop at Herdubreidarlindir and about 4 miles, we stopped at a "new gun" that Jokulsá á Fjóllum is digging on the volcanic soil. From this point move towards areas of growing Moon (Not surprisingly, this region was made part of training for NASA to prepare for landing on the Moon), crossing dunes and washes of slag magma. Along this road the bus to go wading rivers (Cross River: Just 4x4) to reach Drekagil and Dyngjufjöll area. 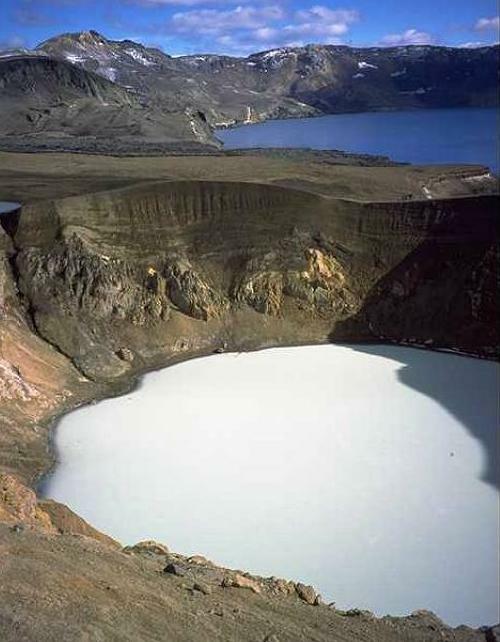 The final destination is Askja caldera, one of the most recent activity. 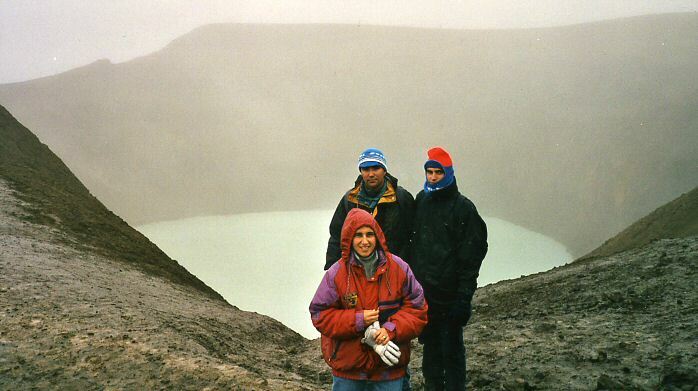 From the point where the 4x4 coach leave us we walk about 45 minutes over the snow to get the large caldera lake and the icy waters of Viti explosion crater, a small lake of water color blue, down to where you can bathe carefully. The caldera of Askja was formed in 1875, which led to a powerful eruption that 50 square kilometers of mountain collapsed on the magmatic source. 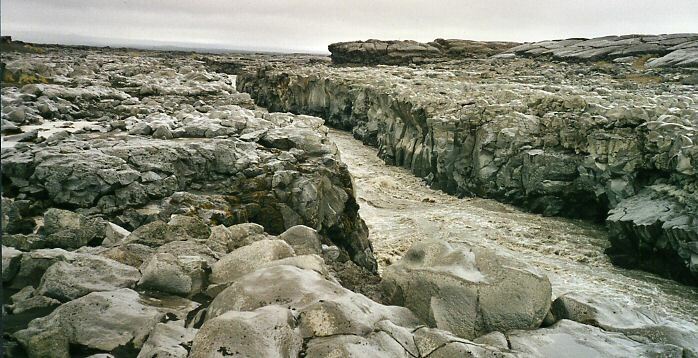 After 30 years of activity was a further collapse and almost immediately was filled with water from melting ice by the eruption, forming the lake Öskjuvatn of 217 meters deep. (150 Km.) 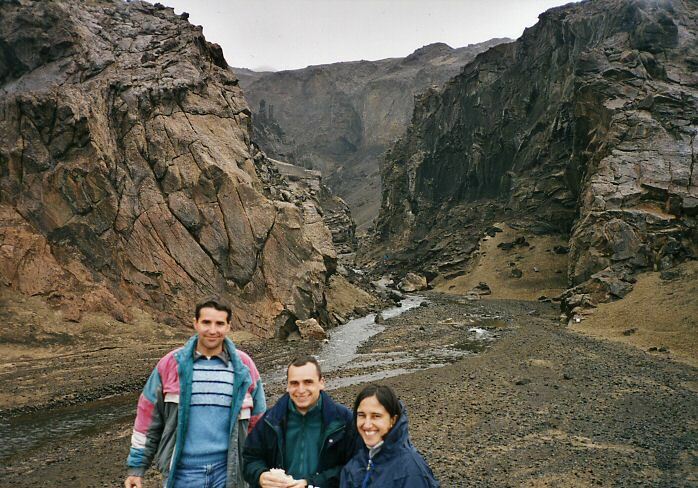 Reykjahlid: We must come back by the same road to return to this village and collect the car. At the beginning of the return trip we stopped at Drekagil, at the foot of Askja, where there is a shelter next to the throat Drekagil, meaning "dragon ravine".